Doala the Koala is a mascot for the Chunichi Dragons, a baseball team in Nagoya in central Japan. He has been representing the team since 1994, but inexplicably in recent months he has become a cult figure - publishing a book and sparking big queues and crowds at public appearances. "Honestly, we don't know why he's become so popular now," says Tetsuro Ishiguro, PR manager for the Dragons. "We think it might be because people have been putting his video on to websites." 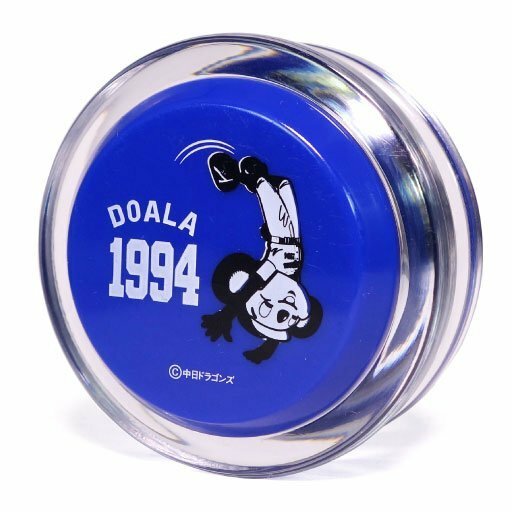 Doala has been the team's mascot since 1994, an attempt to capitalise on the public interest in a newly arrived koala at a local zoo. In the years since, Doala has been a regular fixture at Dragons games, notorious for his clumsy dancing and ham-fisted gymnastic stunts. But this year Doala has become a phenomenon off the field. Since then, his public appearances have become overwhelmed with fans seeking autographs and photos with the blue-eared mascot.